Candidates can get the latest Freshers Jobs 2019 in India from this page. There is a lot of job opportunity for the people those who have completed their BE, B.Tech, MCA, ME, M.Tech, MBA, BCA, B.Sc, BBA, BA, MA, MS, M.Com, B.Com and Any Graduation or Any Post Graduation. Candidates who have been recently completed their studies from college or university are the fresh willing contenders to work as Fresher. Many of the companies are hiring the Fresher aspirants into their organizations by conducting the campus drives, walk-ins etc. As per the latest news, a huge number of fresher people are looking for a job in the IT Industry. We suggest to the contenders this entire page is only for you. In this page, you can get all the latest stuff related to Freshers Jobs 2019 in India. Fresh Graduates and Post Graduates have their own thoughts about the advantages of companies. And many of them are confusing about to choose the best organization. To clarify your doubts we are here to provide the current details related to Freshers Jobs 2019 across India. We all know that many of the Fresher candidates have done their Studies. Such as BE, B.Tech, MCA, ME, M.Tech, BCA, MBA, M.Sc, B.Sc, B.Com, M.Com, MA, BA, Any Graduate, Any PG and anxiously waiting for a Job Opportunity. Few of them are finding the jobs in IT Industry and enjoying their career. But some of the aspirants are in confusions about where to find the proper news. For all those contenders this page Freshers Jobs 2019 is the best platform to clarify all their queries easily. We all know that every year many of the companies are conducting the Walk-in Drives to select the capable and suitable Fresher contenders into their company. As the Fresher people are new in the industry and depends on their experience level they got less salary when compared to the experienced candidates. But there is a career growth in the IT Filed. At present, almost all the companies like Google, TCS, Infosys, IBM, HCL, Accenture, Capgemini, Wipro, Cognizant, Tech Mahindra and more are about to conduct the Walkin Jobs at various locations such as Hyderabad, Bangalore, Chennai, Mumbai, Delhi, Pune, Noida, Gurgaon, Kolkata Ahmedabad etc. Those who are seeking for the Freshers Jobs 2019 in India can grab the Walk-in Jobs by checking this page regularly. New year, a new beginning, all the MNC Companies are ready to conduct the Off Campus Drives. As well as the Drives is going to be held in the form of a Pool Campus Drives for the people. Our advice to the candidates is check the current Off Campus Jobs 2019 from this page. 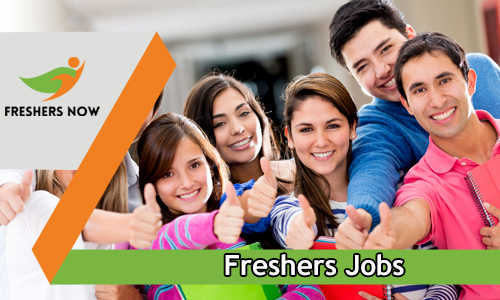 You can get the latest Freshers Jobs 2019 across India. We all know that the Off Campus Drives 2019 is the most beneficial factor. Candidates those who are pursuing their studies can grab the latest Off Campus Jobs 2019. We are sure that, this is a correct span for the contenders to show their talent in the Off Campus Drives. Check the companies, designations, qualification, the location from our website. Internship Jobs 2019 is the best opportunity for the college students. Every year many of the MNC companies are selecting the candidates for Internship Jobs. The Internship gives the clear idea of Freshers candidates about the work environment. Also, many of the companies give some pay for the interns. Likewise, this year also a huge number of companies are waiting for the Interns. Especially multinational companies are very curious about the Interns. Students can easily gain minimum knowledge about the first-hand exposure of working in the real world with the help of Internship Jobs. It is very favorable for your career. We all know that till now a huge number of college students are utilizing the Internship Jobs 2019. Looking for Startup Jobs 2019? then check the valuable information on our website related to AngelList Jobs. Many of the Startup companies are offering the great job opportunities for the people. A bulky number of contenders are joining in the Startup Jobs. When compared to the multinational companies the pay scale is very less in the Startup Companies. Anyway job seeking candidates are very high year by year. And job opportunities are very less due to the lake of the population. Also, AngelList is the best platform for the Startups. Check the latest Startup Jobs 2019 from our website. Check the latest BPO Jobs 2019 on our website. An immense number of people are showing their interest in the Call Center Jobs. Voice, Non Voice Jobs are the two process jobs comes under the BPO Jobs. Most of the multinational companies are giving the career chances in BPO Sector for both Graduates and Post Graduates. Newly graduates can shine their bright future in the BPO Job Opening 2019. In the BPO Jobs 2019 page, we are sharing the entire list of BPO Careers 2019 for both freshers as well as experienced candidates. People who have a good communication skill in the English language can hurry up and apply for the latest BPO Jobs 2019 from our website. Finally, we have shared the most precise information related to Freshers Jobs 2019 in India through this page. We recommend to the Fresher candidates just refer this entire page. Also, get the current Job Openings 2019 from this page. We hope the given information regarding Freshers Jobs in India 2019 gives a clear picture. If you want to get instant updates related to Freshes Jobs 2019 then bookmark this page by pressing cntrl+d as well as bookmark our website Freshers Now. Overall, we have arranged all the information about Freshers Jobs in India 2019, Walk-in Jobs 2019, Off Campus Jobs 2019, Internship Jobs 2019, Startup Jobs 2019, BPO Jobs 2019 on this page. Still, have any query about the Freshers Jobs 2019 then drop your valuable comment in the below section. As soon as we clarify your doubts. View more latest job opportunities from this page. Those who have started their searching for the Fresher Jobs 2019 and having the qualification such as BE, B.Tech, MCA, ME, M.Tech, MBA, Graduation can keep an eye on this page.